100% safe, effective and clinically proven fractional laser facial resurfacing to visibly regenerate superficial and deep skin layers at the same time! 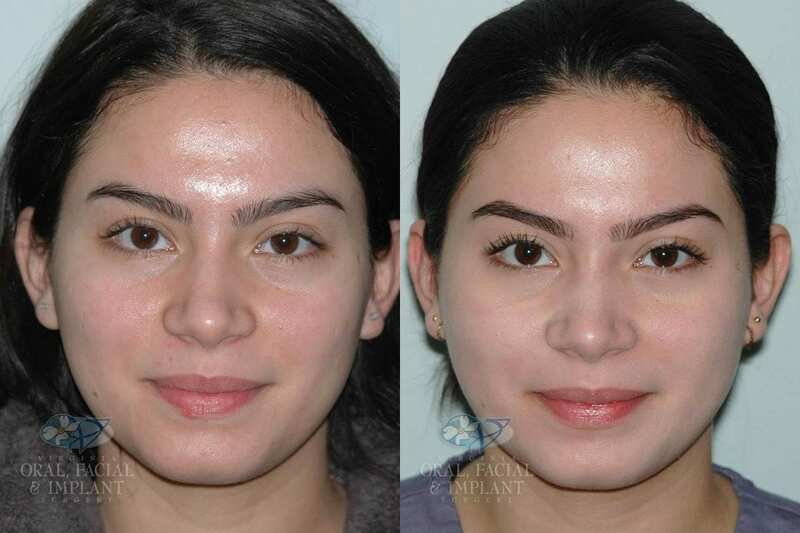 Resurface your skin naturally with laser facial rejuvenation at Dr. Gocke’s practice in McLean, Virginia. Stimulate natural cellular regeneration where you want it most! Schedule your consultation today with Dr. Gocke by calling (703) 388-2805. We’ll be happy to answer any questions you have! We all want to choose the most qualified physician if we are going to accept a treatment that will affect our health and appearance. It’s important to check the training and experience of your physician who will perform the laser skin resurfacing treatment. 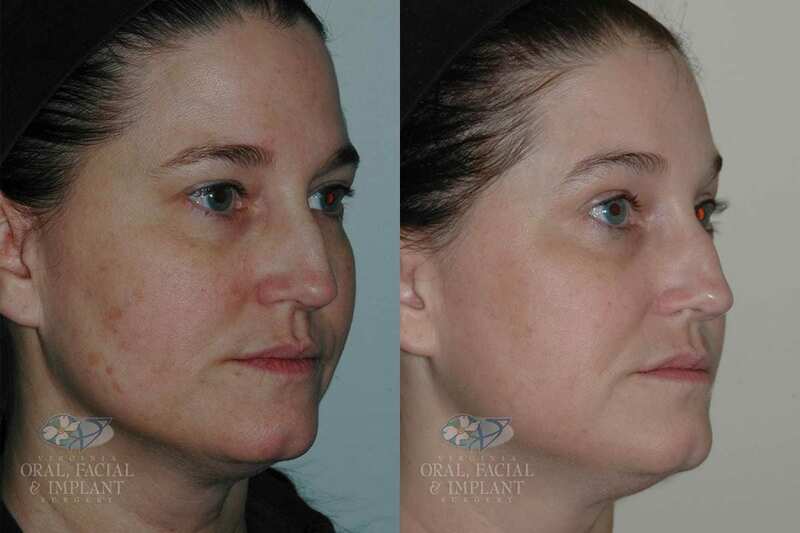 For example: to become an Oral & Maxillofacial Surgeon, Dr. Gocke initially spent eight years in school learning all about the muscles, tissues, and structures of the face, mouth, and neck areas. Dr. Gocke also has the unique privilege and experience in facial reconstruction for veterans who won the battle against skin cancer at the VA hospital in Dallas, TX. In addition to eliminating and preventing the skin cancer cells from regrowing with laser resurfacing, the pleasant side-effects also rejuvenated their faces by getting rid of skin damage, removing wrinkles and lines, tightened the skin and made them look more youthful! Clearly, such rich and centralized focus and experience with the facial region sets Dr. Gocke apart from other facial cosmetic surgeons and laser technicians. His experience will maximize your results for longer and make your experience more comfortable. If you choose to select Dr. Gocke for your fractional laser facial rejuvenation and resurfacing treatments, be assured that you are choosing a highly qualified physician and that your decision will be backed up by his reputable name at local Virginia Hospitals and over 15 years of continuing education in the field of facial aesthetics. Why fractional facial resurfacing with the CO2RE laser? The CO2RE is a versatile fractional CO2 laser Dr. Gocke uses for full-face skin resurfacing therapies and to complement other oral and facial aesthetic procedures. The laser can be used as an aid in minimally invasive and nonsurgical lifts, intraoral surgery, and even for anyone with gummy smiles who are interested in a smile makeover. Our laser facial rejuvenation services with the CO2RE laser have proven effective for improving the tone and texture of the skin, eliminating sun damage and disappearing the effects of aging by smoothing out fine lines, wrinkles, and even scars. The CO2RE laser also differs from traditional skin resurfacing in that we can perform aesthetic facial rejuvenation and reconstruction with faster results, less recovery time, and a more comfortable experience. You have the full-suite all under one roof with Dr. Gocke’s expertise in reconstructive and aesthetic facial surgery and the fractional CO2 laser! Does the laser resurfacing hurt? The laser facial rejuvenation procedure is relatively painless. You might experience some moderate discomfort, but the anesthesia we use before the treatment will make you feel comfortable. Even for higher intensity fractional laser treatments, we will make sure you are as relaxed and comfy as possible. After the procedure, you will experience a feeling similar to a sunburn. For the next few days, your skin will peel as it exfoliates and replaces old dead skin cells with new healthy ones! At home, you may use simple pain-killers if you experience discomfort while your skin heals and regenerates. For more complex treatments, Dr. Gocke may prescribe antibiotics and other post-care instructions. Our aesthetic laser resurfacing packages cost between $1800 to $3000. The price for session packages includes anesthesia (if needed) and the Surgical Facility Fee. For a more accurate quote, please call our office at (703) 388-2805 since pricing will vary depending on your skin condition, desired results, and treatment coverage. We also accept CareCredit so that you can pay for your treatments at your convenience! Which CO2RE treatment is right for me? You may be an ideal candidate for CO2RE if you are in your 30s or older and want to repair sun-damaged skin, aging spots, fine lines, wrinkles, discoloration, rough or drooping texture, acne scars, or other imperfections of the skin. This laser rejuvenation is especially for you if you want to look younger without having long recovery periods and risky procedures, which is typical with traditional resurfacing and plastic surgery. Laser treatment sessions are painless, and each session will follow a program tailor-designed to treat the right spots with the right intensity for your unique dermal characteristics. For example, we use varying concentrations of the laser to treat the areas around the eyes than we would for the face, mouth, and chin. Dr. Gocke will help put together a treatment plan perfect for you. Is the CO2RE laser safe? Absolutely! The CO2RE has been clinically tested and proven. Speak to Dr. Gocke about your medical conditions and skin history to avoid and minimize adverse reactions. It is normal to see the difference you want after the first treatment. Usually, a series of treatments are recommended, which we may offer in packages. In the following days after treatment and your skin continues to heal, you will gradually notice your skin looking softer, smoother and tighter. Dr. Gocke can perform what is called a “superficial peel,” which uses the laser at about 30% concentration and you will experience redness in the treatment area for about 1 or 2 days. A “fractional peel” can be used to repopulate the skin from 30-70% laser intensity and will result in more downtime. Any treatment above that is more complicated and would require a balance between downtime (recovery time) and the results you want. How long will the rejuvenating results last? This laser resurfacing results with CO2RE can be comparable to that of surgical procedures. Most treatments last for many years and for a fraction of the cost of traditional surgery. Of course, results vary depending on your age, skin care habits and other variables. Take the first step to clearer skin by calling Dr. Gocke at (703) 388-2805 and scheduling a consultation!